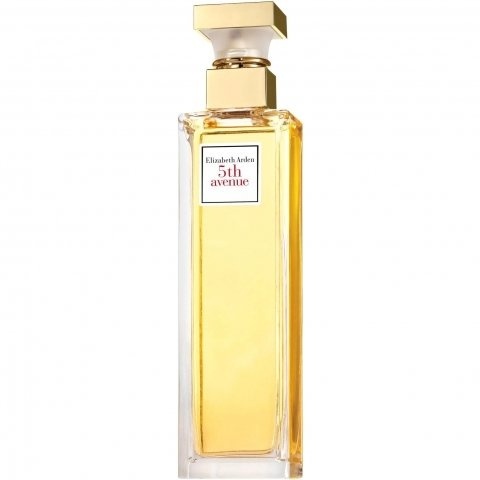 5th Avenue (Eau de Parfum) is a perfume by Elizabeth Arden for women and was released in 1996. The scent is floral-powdery. It is being marketed by Revlon. From an action I tested this perfume. I think it smells really noble and classically elegant. I wouldn't have expected that with so many different scents. Now it's one of my favorite scents. Just bite the Big Apple! I was 20 years when I saw the first time the advertising on the magazines with a black dressed and very classy Amber Valletta to publicize this scent having the name of one of the most famous and important streets of the Big Apple. It was so charming and I remained impressed by the shape of this fragrance, very similar to a tower or a skyscraper.On my head still echo the famous song "New york, new york" and the Liza Minnelli's voice. After a few years I bought on sale this scent and finally I could appreciate its sparkling bouquet: bright, radiant and very feminin, it opens with light citrusy notes and White flowers such as magnolia and a quite vibrant lily of the valley. After a few seconds you can smell the warmer heart, where the sensual Jasmine and a smooth tuberose not excessive or intoxicating are made more interesting by the lightly spicy nutmeg touch. You can smell also a touch of rose and of a vibrant violet , but on your skin will remain for a few hours the base notes : a warm acchord of sandalwood, amber (not bitter or medicinal, but well balanced) and musk. On my skin I don't smell the vanilla, although I see it at the base of the pyramid. It's a very classy perfume with a quite good sillage for a charming and modern woman , positive, dynamic and social.Perfect in every season mainly as daily scent, I recommend it mainly in springtime for its unmistakable lily.of.the -vally top note , so vibrant, so fresh and bright. So, this one remains a classic by Elizabeth Arden nowadays too and at many drugstore of my town I often find it on sale! The price, indeed, isn't so high in comparison with the good quality. After that....are you ready to bite the Big Apple? Classic Refinement, Tasteful Luxury, and Cool Sophistication personified in scent. I have loved this exquisitely feminine floral ever since it was created in 1996. Lily of the Valley is the star of this production framed ever so beautifully by a fantastically well blended delicately spicy floral veil that reads on my skin like a gossamer film of antique lace. Magnolia, linden blossom, lilac, open the show which seamlessly transitions through the mesh of jasmine, carnation, roses, violets, ylang-ylang, tuberose, clean nutmeg, and just a touch of dewy peach. Everything is comfortably supported by superbly blended unobtrusive base of warm sandalwood, vanilla, amber, white musk, iris, and cloves. Fresh without being acrid, clean without being sour, heady without being sharp, cool without being haughty, tenderly sweet without being cloying, sensual without being provocative. This is for a serenely secure woman, a lady who is completely at ease with herself. Tremendously enjoyable. Acceptable in any context for any occasion. Just wonderful. My mother wore this fragrance throughout most of my teenage years. In some ways, this was one of the first fragrances I ever became familiar with. 5th Avenue is one of those cheap classics. It's inoffensive, somewhat elegant and refined. It's mostly white florals presented in a non-creamy and non-heavy manner. Lily of the valley, magnolia and linden blossom feature quite prominently with a soft soapiness. 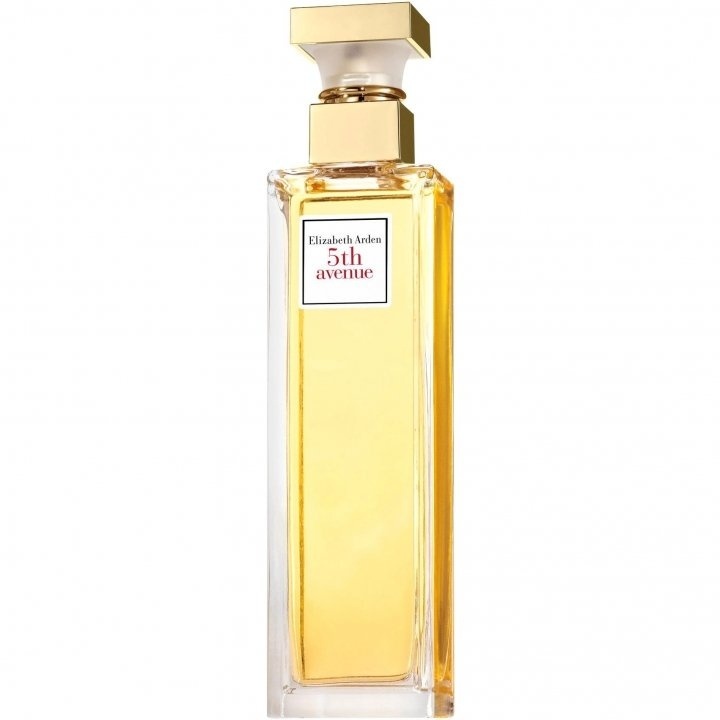 5th Avenue is a mature fragrance, but that's not to say that young girls can't wear it too. I find it very versatile. Easy to wear during any season and to any occasion. The composition isn't my cup of tea, I'm more drawn to less refined florals, yet I am impressed by the quality. The longevity is great, as is the sillage. It reminds me slightly of Bvlgari pour Femme, but more so in terms of style rather than scent. My mother no longer wears 5th Avenue, she prefers Red Door and Provocative Woman. However, if I were to buy her another bottle I'm certain she'd wear it again. I don't like labeling scents with labels that say: "for old people" or "teenagers only". How can one argue about taste? Or assign a scent to a certain age-group if every scent reacts different to each skin? Diversity is a good thing! What doesn't work on my skin might be someone else's most cherished perfume and I think people should remember that more often. 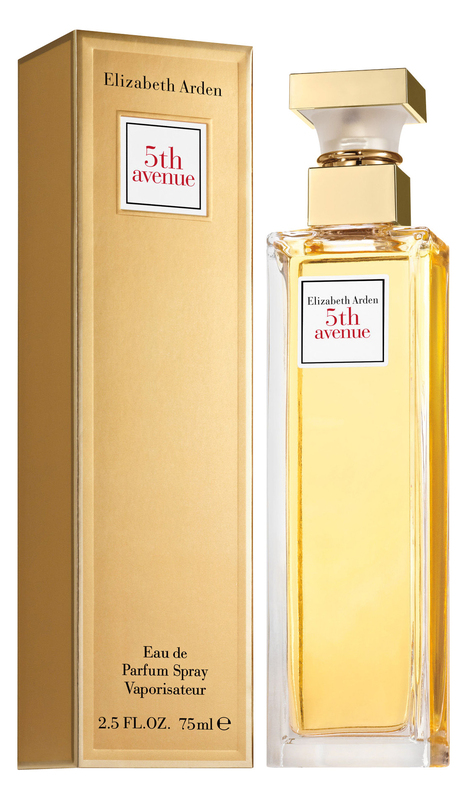 I think 5th Avenue Elizabeth Arden For Women is one of the many scents that suffer from bad (age/price) publicity. Most unfair and very unfortunate, because although it's a 'cost effective' fragrance, it's by no means "cheap". In fact it is a very well made floral. My mother loved lilacs and had a wonderful lilac-bush that would spread every year the most gorgeous scent. I love the scent of lilacs, and have been looking for a lilac perfume that gives me that scent from my childhood on my skin to enjoy without that other notes come in and distract too much from the lilac. Well, 5th Avenue does just that! It is a gorgeous lilac perfume from beginning to end. The mimosa and (very faint) lily-of-the-valley are by no means a distraction, if anything they help the lilac shine. The lilac shines so warm and brightly that all the other notes are back-up singers in a choir that sings praise to the gorgeous lilac. There is a scent evolvement, but the lilac is always the top-note that manages to live in floral-harmony with all the other notes. This prevents it from becoming boring, since you do get whiffs of the other notes but they never distract from the lilac. The silage is: "I am sitting under a lilac bush!" The longevity is wonderful: 8+ hours. To me this floral is suitable for everyone who loves lilacs, no matter what age. And it can be worn for every occasion since it is also a very elegant, yet playful and yummy fragrance. My search for the lilac-bush in a bottle is over and at such a friendly price too! WOW! I am happy and can only recommend the following to every lilac fan: try this one and ENJOY! petals of ylang ylang with it's it's earthy scent.